Expect a generation’s worth of peace of mind when it comes to your roofing with the Golden Pledge Limited Warranty. Here’s an overview of how this warranty protects you and your investment. No other warranty offers a full lifetime coverage on GAF products than the flagship Golden Pledge Limited Warranty, which has a coverage period of 50 years. This covers the entire roofing system, from the installation labor to material defects, right down to misapplied flashings. Three-tab shingles have a 20-year, 100% full coverage on material defects, with options for 25 or 30 years warranty on installation labor costs. Our work is fully covered for 25 years against any particular workmanship issues you see on your roof. Material tear-off and disposal costs are also fully covered under the Golden Pledge Limited Warranty, and all our team members are provided for and backed by GAF itself. This warranty also has a 20-year, 100% coverage on workmanship and flashing on 3-tab shingles. Only the Golden Pledge Limited Warranty offers an exclusive 40-point factory inspection that helps you avoid potential problems in the future, from your roofing to your siding. Additional coverage is also available if you don’t own a 3-tab roofing system. 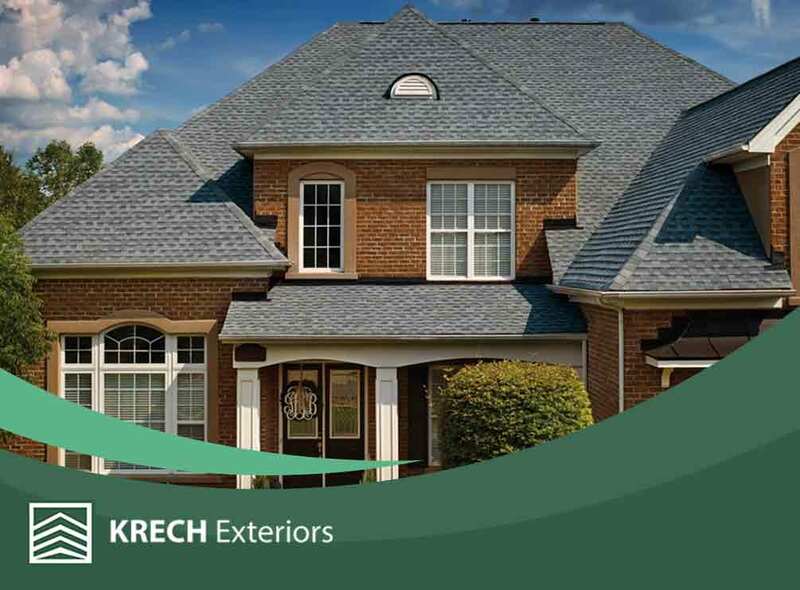 With over 20 years of experience in the industry, Krech Exteriors offers superior and unmatched roofing and siding services to all of our clients. For all your roofing and siding needs, call us at (651) 968-888,8 or fill out our online contact form to schedule a free in-home consultation today! We’ll be glad to help you with your home improvement project. We serve Minneapolis and the surrounding areas.